Firstly, our withdrawal from the EU is not as cut and dried as it may seem. Never forget that two thirds of the MP’s at Westminster backed remain and that the Prime Minister has a very slim majority. We are already seeing talk of a ‘soft’ or ‘hard’ BREXIT when the reality is that, in the words of our London MEP Gerard Batten, BREXIT means Exit. This kind of pigeonholing, picked up by the mainstream media, is being used by the pro EU MP’s as a way of making the people feel that doing what was proposed during the Referendum (Withdrawal from the Single market, removing the authority of the European Court of Justice and putting in place a sensible migration policy) will be difficult and harm our country after we leave. Indeed, in recent weeks we have seen significant backsliding by the Tories on a number of points – They are talking of ‘transitional’ periods where open door migration will continue, the suggestion that our territorial fishing waters may be part of the ‘negotiation’ over trade and that the Prime Minister herself wants to continue with the iniquitous European Arrest Warrant (EAW) that has been almost useless in the fight against terrorism. The EAW is an affront to our basic rights under English law and has resulted in serious miscarriages of justice in many cases – Google the likes of Andrew Symeou, Deborah Dark and Alexander Adamescu to see how Habeus Corpus, the presumption of innocence until proven guilty, is totally undermined by this draconian piece of legislation, originally implemented by Theresa May when she was Home Secretary. It was UKIP pressure that brought us the referendum in the first place – with the LibDems pushing to overturn the referendum result and Labour totally divided and incoherent on the subject, only a strong UKIP electoral threat can ensure that BREXIT is a success and implemented in an acceptable way for the people of the UK. UKIP are the only party since 1906 to have won a national election other than Labour and the Conservatives (The 2014 EU elections). If we are no longer relevant and past our function, who will oppose those two parties on behalf of the people of England and the UK? The Liberal Democrats have already shown in their 5 year stint as coalition partners to the Tories that they will sacrifice principle for power (Tuition fees, a fudged referendum on electoral reform, etc) and their new clothes as ‘The Party of In’ is in direct opposition to the will of the people. Labour are no longer a cohesive opposition – weak leadership, contradictory messages on policy, lack of a sensible economic policy that is run by a man who nearly bankrupted London in the 1980’s and their slavish adherence to the failed doctrine of multiculturalism will see them in the electoral wilderness for many years. The Greens? They are even further to the ‘left’ of politics than Labour and dress up their Marxist policies in the veneer of caring for the planet – yet they support open door migration (Which damages the environment through overpopulation) and the one council that they have run in Brighton produced almost the worst recycling figures for any local authority in England in contradiction of their supposed aims. UKIP have a full independently costed manifesto from 2015 that is neither to the left or right of British politics and reflects the concerns and priorities of the majority of the people of our country. Whilst there is no doubt that the last year has been difficult with two leadership elections and the loss of elected representatives and members who see our mission as complete, a rebrand and refocus on to our other policies is currently underway. We have not fought to get away from the clutches of an undemocratic, unelected and aloof EU establishment only to put power in to the hands of a disconnected establishment at Westminster – our aim now is to make our country more democratic and increasingly to put power back in to the hands of the people at a local level. With interference from Brussels removed, we will campaign to roll back the dead hand of the state on our everyday lives, championing the small and medium sized businesses that will drive the growth of our economy post BREXIT. Unlike the government who had to do a dramatic U turn on their plans to increase tax on the self employed, we will be the party that empowers people to take control of their own lives and build the businesses of tomorrow in the outward looking, globally trading and independent country that we will become in the 21st Century. Our plans to take people on the minimum wage out of taxation altogether will put money in to the pockets of those striving to better themselves and remove the need for the complex in work benefits system that rewards the big corporations with a cheap, subsidised workforce at the taxpayers expense. Unlike the establishment political parties, UKIP are proud of our country and believe in our values and traditions. We will be the only party brave enough to speak out about political correctness and challenge the rise of the Radical Islamist ideology that threatens our community cohesion and way of life, championing an overarching British identity that binds us together as one community irrespective of race, religion or gender. We will speak up for our armed forces and our veterans, giving them the respect and funding that they deserve. The other parties shy away from this as they feel there are not many votes in it – our support is based on what is the right thing to do, not on extra points at the ballot box. UKIP will strive to mend our broken electoral system, championing electoral reform and finally giving England an equal voice within the Union. Our aim is to give the same level of representation that is enjoyed by Scotland through their Parliament and Wales & Northern Ireland via their assemblies, building a Union fit for the future built on partnership and mutual recognition. At a local level, we will champion the voice of the ordinary man and woman, giving them the right to recall their MP if they are not satisfied with performance and legally binding referendums on matters of importance if enough people support it via petition. This entry was posted in Armed Forces and Military Covenant, BREXIT, Devolution, Heathrow Third Runway, HS2 and the Heathrow Local Opportunity Area, Islamist extremism, Local issues, The Economy, The European Union (EU), UKIP and tagged BREXIT, EU, UKIP. Fine read but since Nigel left there has been little action and noise commingled from the party not as much as there should be. Posts on social media is fine but it needs a few voices to back them up loud and clear. There’s been no where near enough more noise you make more media and broadcasting to be noticed. That is my view . 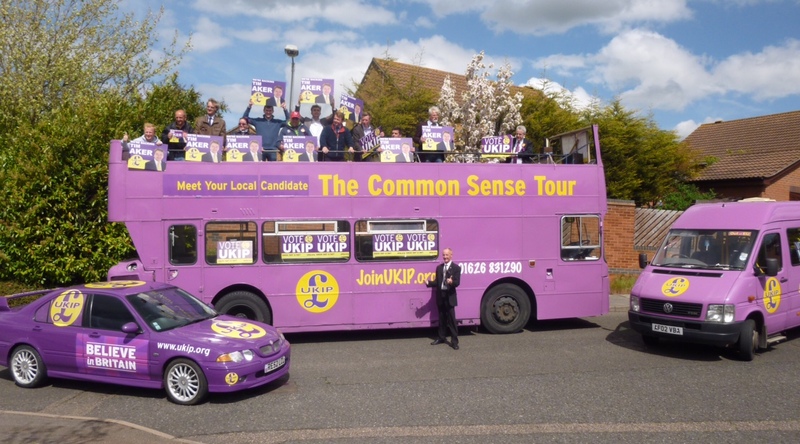 I see more of Nigel now than I do the leader……. Go for it – but we must get our policies and direct democracy over in a way people generally can rally behind and contribute to.